A series of baffling murders among a group of imprisoned agents threatens the outcome of World War II in this chilling mystery from the New York Times bestselling author of Mr. Churchill’s Secretary. November, 1942. World War II is raging, and former spy Maggie Hope knows too much: what the British government is willing to do to keep its secrets, who is lying, who the double-crossers are. She knows exactly who is sending agents to their deaths. 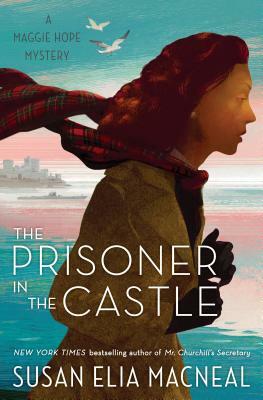 These are the reasons Maggie is isolated on a remote Scottish island, in a prison known as Killoch Castle. When one of her fellow inmates drops dead in the middle of his after-dinner drink—he’s only the first. As victims fall one by one, Maggie will have to call upon all her wits and skills to escape—not just certain death . . . but certain murder. For what’s the most important thing that Maggie Hope knows? She must survive. Susan Elia MacNeal is the New York Times bestselling author of the Maggie Hope mysteries. MacNeal won the Barry Award and has been nominated for the Edgar, Macavity, Agatha, Left Coast Crime, Dilys, and ITW Thriller awards. She lives in Brooklyn, New York, with her husband and son.